When our cars don’t start or run as smoothly as they did when they were new, most of us think, “It’s time for a tune-up.” But what exactly is a tune-up? 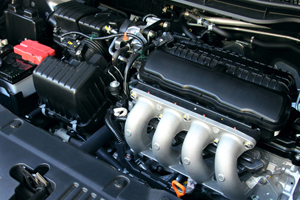 With today’s computer-controlled systems, a tune-up means running a comprehensive performance analysis on your engine and replacing and servicing the parts of your car that are most likely to experience wear, such as air and fuel filters. A Tune Tech tune-up includes not only routine maintenance but also sophisticated computer diagnostics to identify any problems that might prevent your car from operating at peak performance. We also examine mechanical systems to ensure that spark plugs, wires, and coils are performing to the manufacturer’s specifications. At Tune Tech, we don’t just get your car to run, we get it to run at its best.